On second thought, no. I just need to knit faster. 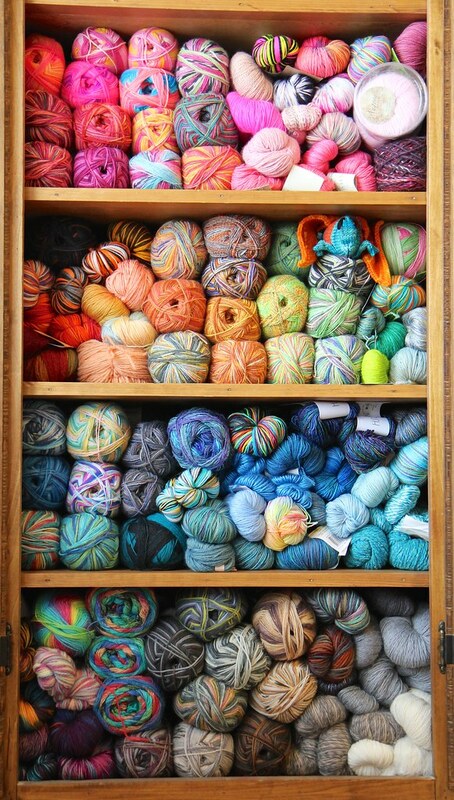 Hmmm....oooh - I see blue and yellow and red.... Maybe you just need a bigger cabinet? But there is definitely a moth in there!!! There is! But it's okay - he's friendly!